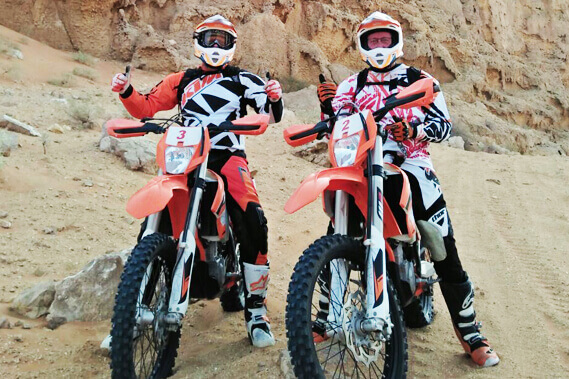 This Beginners Adventure Motorcycle Tour is for riders who have basic experience about motorbike riding. 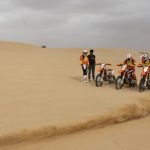 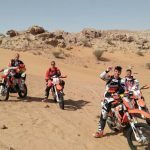 If you have never experience off-road riding specially desert riding and have a burning desire to relish the fun of desert-sand dune riding and sliding, this adventure-tour is perfect for you. 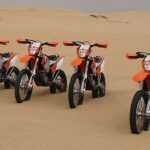 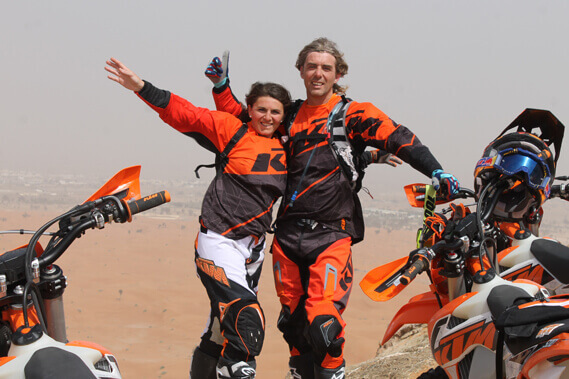 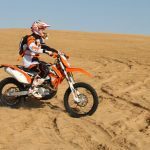 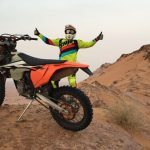 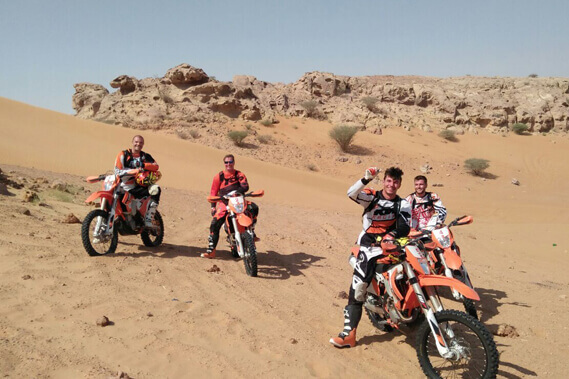 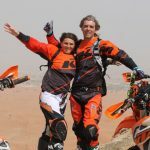 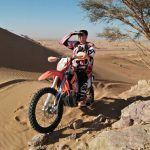 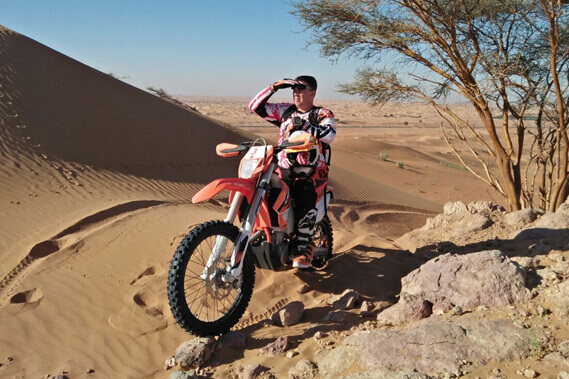 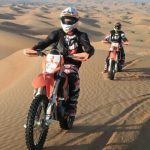 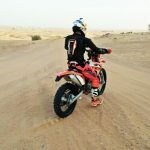 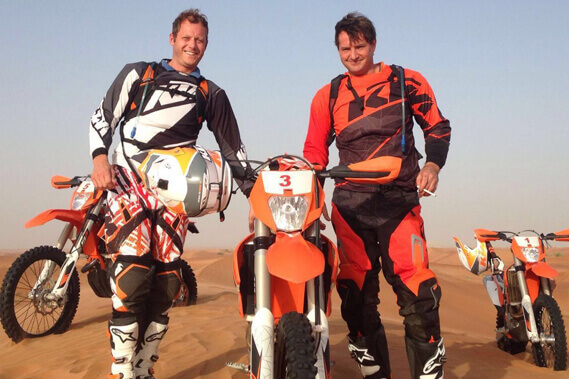 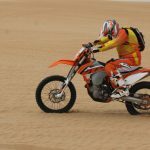 This tour-package is a 2 hours tour where you will be taught how to ride a dirt bike in Dubai off-road to improve your riding skills in the desert sand. 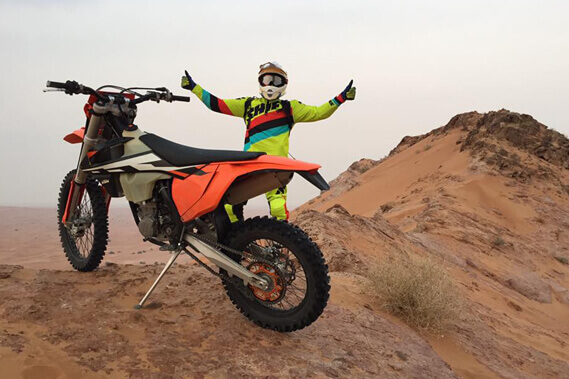 Our experienced tour guide will take you through an orientation on a dirt bike, basic controlling of dirt bike and off-road riding. 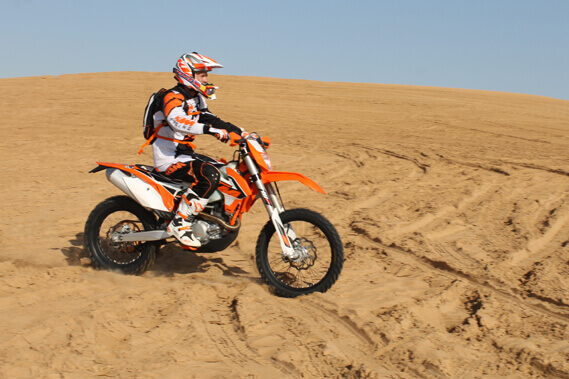 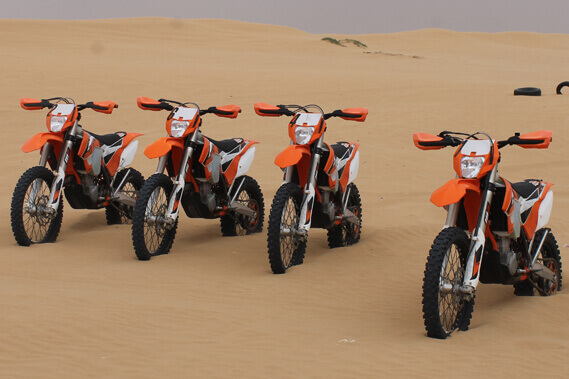 This KTM Advanced Motorbike deep desert-trip is for riders who have off-road riding experience. 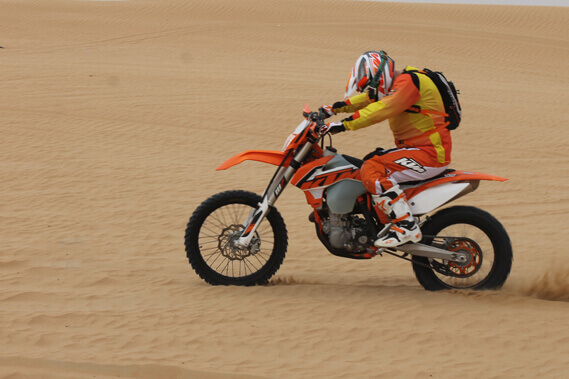 It involves a 4 hours’ dirt bike desert-tour to enhance your skills. 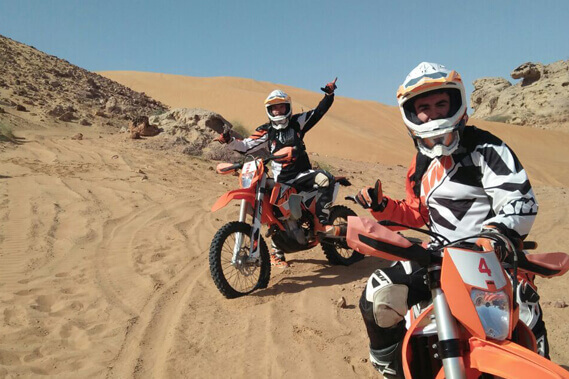 Our professional experienced tour guide will teach you how to ride steadily in the desert during changing dune conditions. 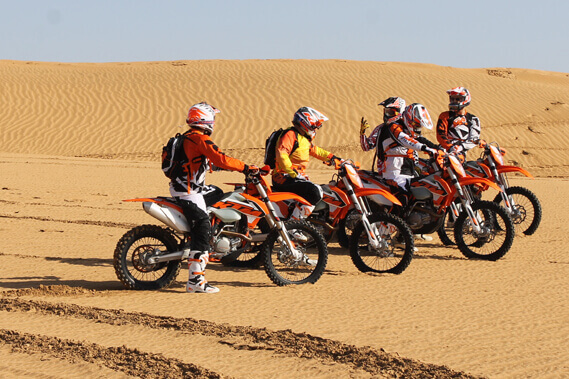 An experienced instructor will available to guide you through the trip; you will also be provided with all necessary safety equipment. 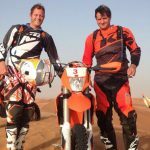 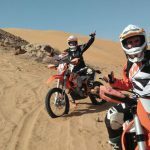 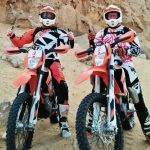 If you wish to explore the desert in a Enduro Dirt Bike and ride independently or with your friends, the custom motorbike tour is a fit for you. 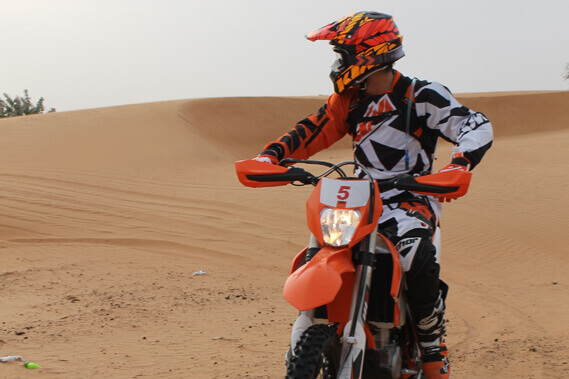 The package is available for up to 2 days in which you will be provided with Desert Camp for an overnight stay. 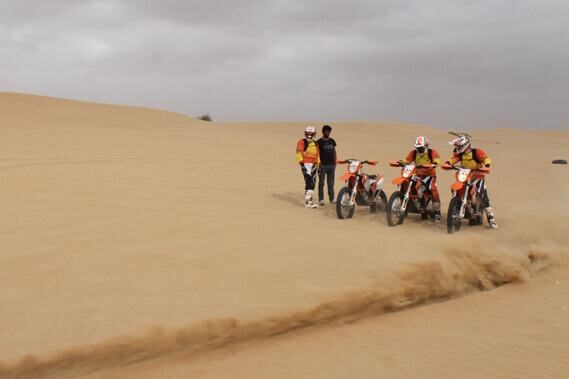 It also includes the development and design of the riding route. 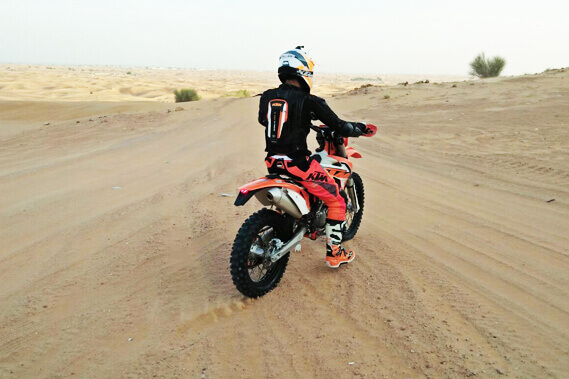 For more information or bookings contact us via our contact form or for a quick reply send us a whatsapp message.